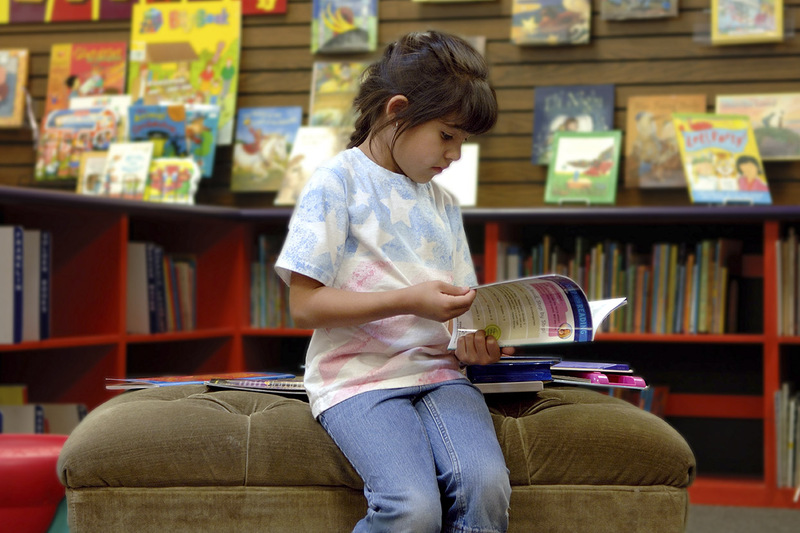 When looking back to my childhood, I have more memories of being read to than I can count, from snuggling up for bedtime stories to feeling the magic of my favorite books come alive during storytime. Now let’s be honest, sometimes it isn’t always the easiest to read aloud to a child. As the children’s storyteller at Bookmans Northwest, I have parents ask me, “how do you get them to sit and listen. At home, they wriggle and seem uninterested.” Whenever I get that question I always tell them to not feel discouraged, and offer them the my top tips for story telling. • Find a quiet and cozy spot. You want to make sure you pick a place where there aren’t a whole lot of distractions. • Show excitement and be silly. Let the joyfulness and excitement build up for reading time. Excitement is key. If you seem like you are having fun while reading along, the children will too. Don’t be shy, it’s okay to be silly and have fun, maybe even try different voices! • Pictures are as important as the words. Pictures are the biggest clue for a young child to what the story will be about. When you read the title of the book aloud, ask about what picture they see on the cover and what they think the book might be about. It’s always fun to try make predictions from the pictures in a book. • Be mindful of children’s attention span. Take a break between books to let that energy out. Here at story time, we take a break in between stories to stretch, sing and dance! • Check for understanding. Periodically, it’s good to start engaging in conversation. Offer the opportunity to ask questions. You can ask them questions based off of what the story is saying. For example, what do you see in this picture? What do you think they are doing?” Ask the the W questions – the who, what, when, where and why. Try and give them time to think about their answers. Give these tips a try to build some storytelling memories with your kids. And feel free to join us for storytime at Bookmans Northwest. You can find the next event on our events calendar.